Customize and send your digital holiday eCards. Include your personal message, corporate logo, website and social media pages. 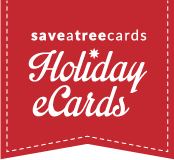 It’s Easy to Customize and Send Holiday Ecards to Business Associates and Customers! Choose your ecard from our wide selection of animated ecards and non-animated ecards. Customize your ecard with your own message. Add your own photo or graphic, company logo and web site if you like. Add your email list using our easy upload tool. Relax! You’re done with your holiday egreetings. All the Holiday Ecard Features You Want!